Illustration: Courtesy Adult Swim Rick and Morty. Get a sneak peek of the latest shows from Adult Swim during this free, outdoor screening at the Santa Monica Civic Center. 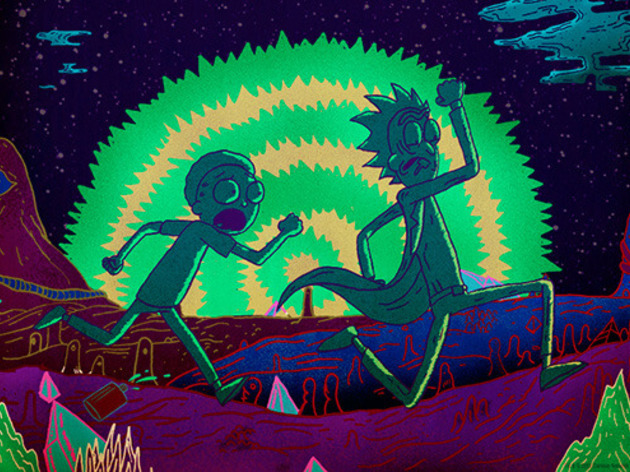 Check out clips from the upcoming season of Rick and Morty and the new series The Jack and Triumph Show, along with episode premieres of Aqua Teen Hunger Force Forever, China, IL and Childrens Hospital. Enjoy a night of food trucks, trivia, and prizes; plus, the first 250 guests to arrive will receive a $10 voucher for the Grilled Cheese Truck, Lobos Truck or Me So Hungry Food Truck.